Surfers Paradise, the playground and entertainment capital of the Gold Coast, featuring an abundance of memorable experiences set amid a spectacular skyline and brilliant stretch of coast. To gain a truly unique perspective of Surfers Paradise venture over to the world’s tallest residential apartment building. Topping 80 levels and with a visitor observation lounge on the 78th floor, it is a great way to enjoy Surfers Paradise and the beauty of the Gold Coast and beyond. Surfers Paradise offers an attractive beachfront which is lined by a number of cafes and restaurants and plenty of accommodation. 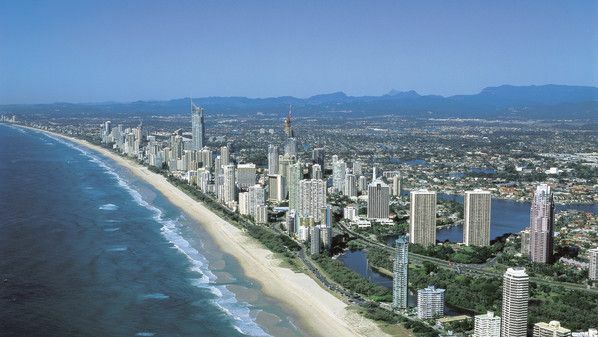 The beach stretches all along the Gold Coast and beyond with many of the beaches patrolled. 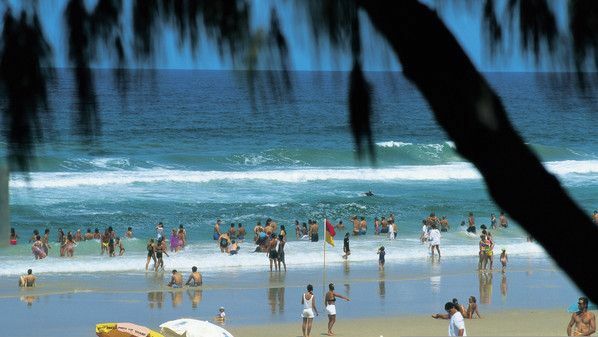 Surfers Paradise is a popular spot for families with its swimming beaches and close by attractions . From Surfers Paradise Main Beach there are plenty of water sports to participate in and equipment can easily be hired. Options available include surfboards, wakeboards and body boards with jet ski hire available on the Broadwater. Relax on one of the fabulous beaches, join one of the fishing charters or whale watching cruises, try bungy jumping, mini golf or even 18 holes of golf on one of the professional golf courses in the Surfers Paradise area. 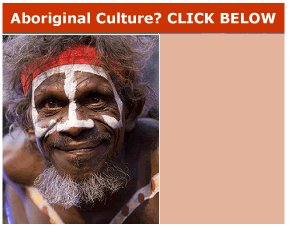 Surfers Paradise is also conveniently close to the many theme parks in Queensland. 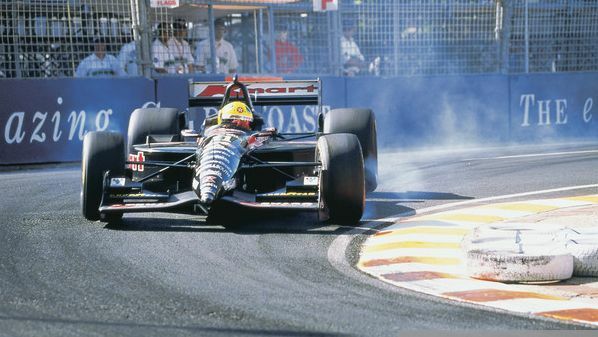 Surfers Paradise is also the venue of the Gold Coast Indy 300 Grand Prix Race, which is held every year during late October as well as the Australia Beach Volleyball Championships. 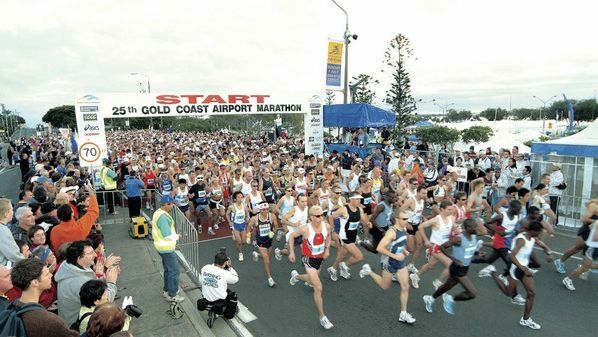 A major centre for nightlife on the Gold Coast with a number of nightclubs, adult bars and themed venues along Orchid Avenue providing entertainment into the early hours of the morning. Surfers Paradise's beachfront has a range of Australian, Asian, European and fusion restaurants and cafes serving locals and visitors with excellent wining and dining experiences. Surfers Paradise is also a popular shopping providing shoppers with the choice of large and modern shopping malls, boutique stores and weekly beachfront lantern night markets all situated within easy reach. 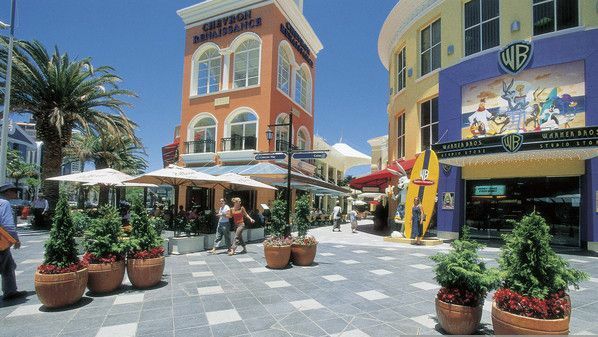 Shopping centres situated in Surfers include The Paradise Centre, the Chevron Renaissance and The Dolphin Centre. There are also some great art galleries, a range of major duty-free stores and souvenir outlets as well as lifestyle centres where you can purchase house and garden items. Surfers Paradise holiday is ideal for families, couples or for the adventure loving tourists with a wide range of tours, restaurants and accommodation on offer. Accommodation in Surfers Paradise ranges from backpacker hostels, caravan parks to self contained apartments, motels/hotels through to five star resorts and it is all close to the fabulous beach that is the main drawcard that brings holidaymakers to this vacation paradise.